According to Wikipedia, an intumescent "is a substance that swells as a result of heat exposure, thus increasing in volume and decreasing in density. Intumescents are typically used in passive fire protection." Intumescents play a valuable role in electric valve actuation. 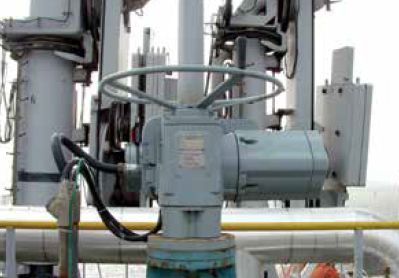 Removable intumescent fireproof coatings referred to as "FR Shells" (from actuator manufacturer Limitorque) provide simple fireproof protection to an electric actuator quickly and easily. The construction is reinforced with wire to enhance its performance and protection of the valve actuator for at least 30 minutes against a hydrocarbon fire. 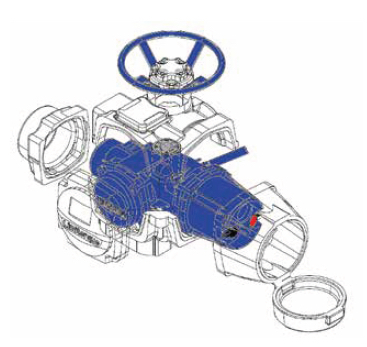 Based on this design capability, the valve actuator will not require being sent to the OEM for replacement coatings in the event of a fire. The intumescent coating can be installed on-site for existing actuators without any modification. The design of the intumescent coating comes in sectional forms and is assembled/secured with external fixing screws supplied with the FR Shells. The FR Shells are protected against harmful UV rays with an approved paint. The intumescent coating maintains itself in a solid state until contact is made with fire. Once contact is made with flame, the intumescent coating (coating surface) is converted into a highly viscous liquid. A reaction combining combustion of the epoxy and gas liberation then takes place resulting in an expansion up to eight times the initial thickness of the original coating. The result is a low-density, carbonaceous insulation char. 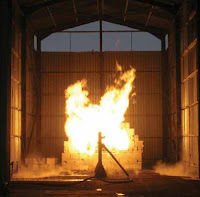 The layer of char absorbs most of the heat generated by the fire, thus protecting the actuator and its internal parts from exposure to the extreme temperatures of a hydrocarbon fire. No modification is required of the actuator. Installation space is not required. If a part fails (e.g., motor), re-coating is not required. Separate storing of intumescent coating is possible, against damage during installation of valve/actuator. For more information, contact Mead O'Brien by calling (800) 892-2769 or visit their web site at https://meadobrien.com.